The only remained true SUV in Ford’s offer will come redesigned next year, probably as 2017 Ford Expedition. This is a full-size SUV, the last one that comes in traditional truck-based manner. Rest of the models from “blue oval” company are pretty much just a crossovers. This model came in 1996, as successor of Bronco. So far, we have seen three generations of it. Current, third-generation model is present since 2007. Although it received various updates during these years, it is almost ten years old. So, it is about time to see complete redesign. New model is already in testing phase and it is expected to come next year. 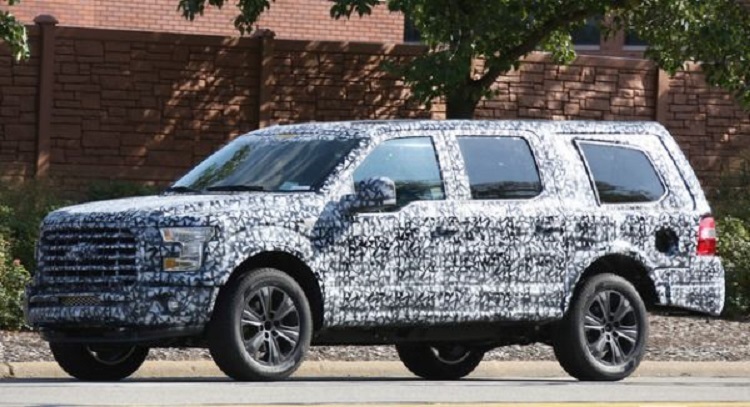 The 2017 Ford Expedition will come redesigned next year. We still don’t know will it come marked as 2017 or 2018 model. For now, we will call it 2017 Expedition. New generation is already in phase of test drives, and several details about new model are already known. Just like previous models, this one will also come based on company’s most popular vehicle, F-150 pickup truck. Plenty of parts will be shared. With new body, which will come made mostly of aluminum instead of conventional steel, 2017 Ford Expedition will be much lighter. According to some predictions, new model will lose about 300 pounds, maybe even more. When it is about visual appearance, new model is still camouflaged. Under the camo, we can see that next generation will continue with the similar type of styling. Front end will be pretty much the same as on new Super Duty trucks, which are expected to come soon. There are new, vertically positioned headlights, new grille and plenty of other new details. When it is about interior, we don’t have any of details at this moment, but we expect to see similar configuration of the dashboard as on new trucks, and also with three rows of seats. Exact details about engines are still unknown. However, 2017 Ford Expedition will pretty much for sure continue with the recently received EcoBoost V6 engine as base offer. This engine has displacement of 3.5 liters and maximum output of 365 hp and 420 lb-ft of max torque. Except this unit, we also expect to see some V8 offered. 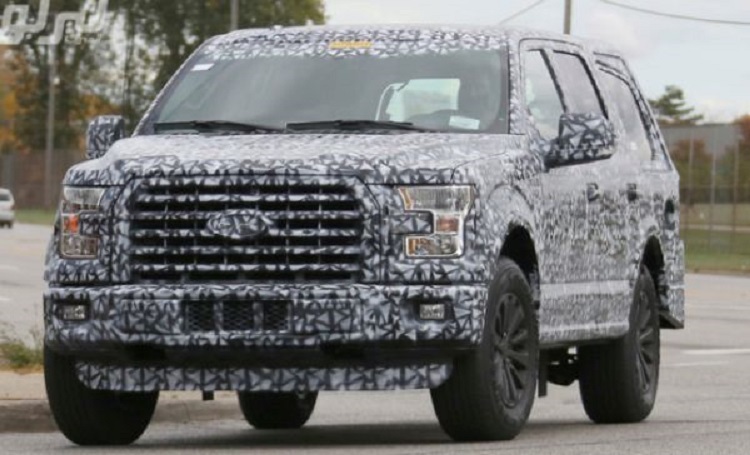 For now, it is only known that 2017 Ford Expedition will come somewhere next year. More details about date of launch and price will be known soon.